Modern furnishings and building systems are key to the success of any store, whether it sells food and drink, clothing or another kind of product. The van you can see on this page was fitted out by Syncro System for a company that specialises in refurbishing small, medium and large stores, and assists its customers in all aspects of the work, from A to Z, turning early concepts and ideas into turnkey projects. Today, shop refurbishers do far more than just fit new furnishings. There’s more to it than meets the eye – literally! Spaces under floors, behind plasterboard walls and above suspended ceilings house essential air conditioning, water distribution and electrical systems. Refurbishers therefore have to be experts in all aspects of building systems, and need to work in teams to achieve the common objective of fitting out a brand new shop. A van is an essential asset for these technicians. 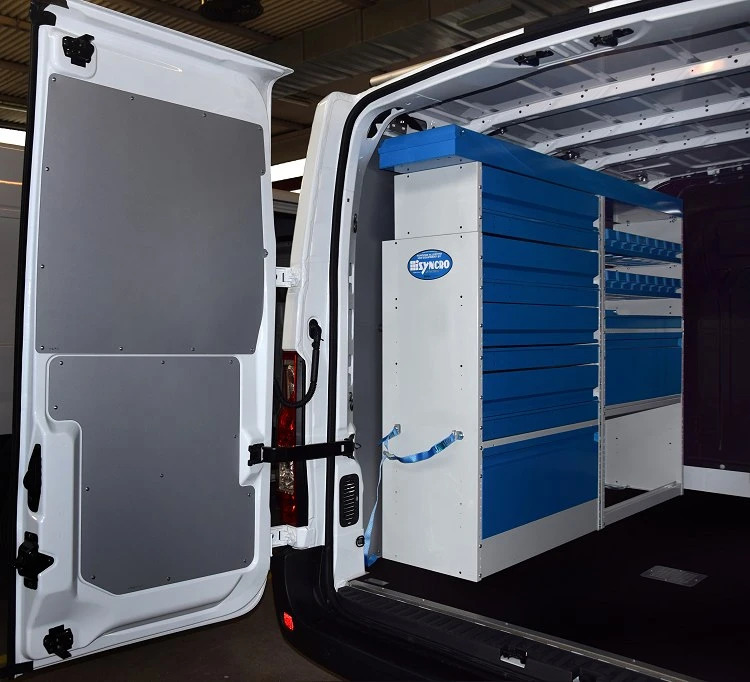 Transformed into a mobile workshop by Syncro, it can provide generous storage space for tools, spare parts, accessories and sundries and serve as a workshop on wheels, where parts and systems can be repaired, modified and adapted. 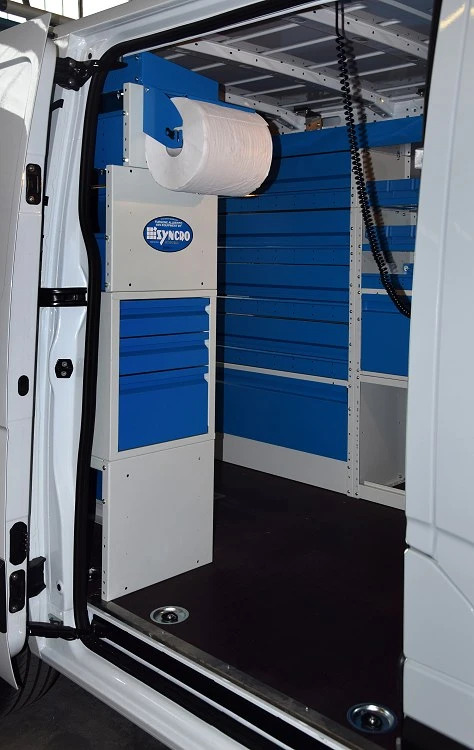 Fitted with the right accessories, the load compartment or cab of a shop refurbishers’ van can also serve as a mobile office for compiling bills and delivery notes and for consulting technical drawings. 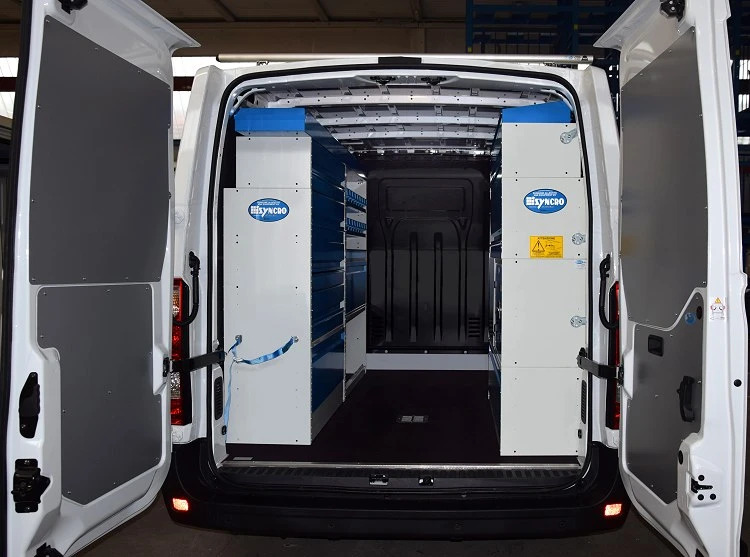 So let’s have a closer look at the work done by Syncro’s installers in this Renault Master. The linings in the load compartment of this shop refurbishers’ van are not there for looks along. They provide essential protection and extend the working life of the vehicle. Protecting the bodywork against scratches, dents and humidity prevents rust perforation and surface corrosion, factors that lead to rapid deterioration and loss of value. 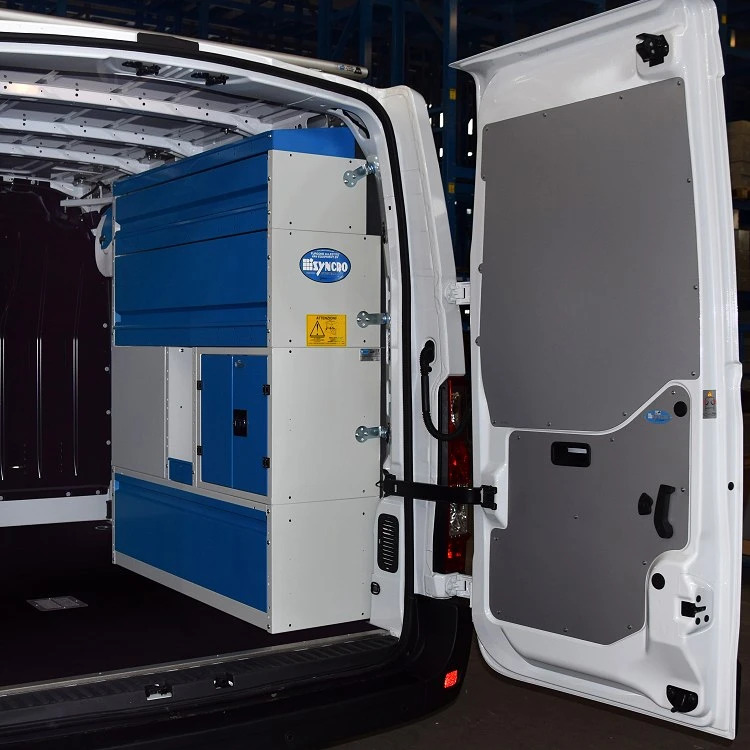 In this particular van, the floor is covered with a panel of non-slip, resinated plywood, while the side walls and doors are lined with honeycomb plastic panels. 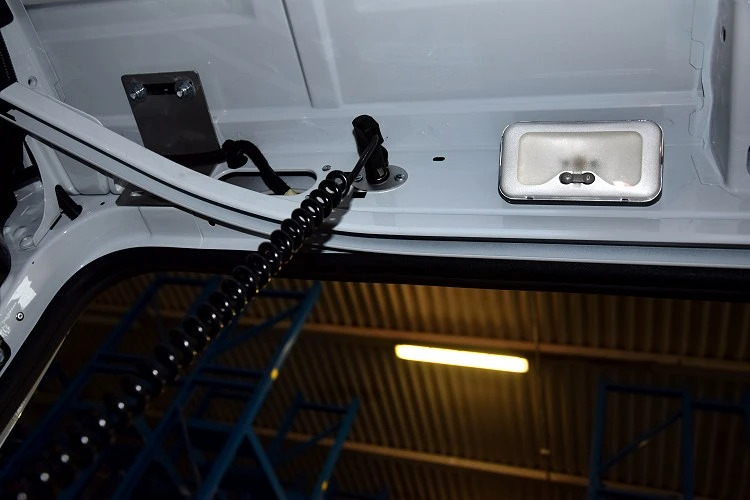 The Renault Master illustrated in these images has Syncro racking installed along both side walls. Left side wall. The storage here consists of two columns of cabinets, one alongside the other. Both stand on wheel arch units, one closed by a parallelogram action door and the other open at the front apart from a low bottom panel. Above the wheel arch unit, the column near the rear doors contains four closed shelves. In that nearer the bulkhead, the shelving is arranged differently and includes two shelves of removable plastic containers. The space at the top houses a tray for long items. A rear access door allows items to be removed from this tray directly from the back of the van. Right side wall. This wall is fitted with just one column of storage units. Above a closed wheel arch cabinet we find a cupboard with two doors, perfect for storing overalls, safety footwear and gloves. Further up, the arrangement reflects the storage on the opposite wall, with two closed shelves and a top tray. What is special about this column of cabinets is that one of the shelves in the centre is designed for access from the van’s side door. The rear of the right side cabinets has been fitted with a paper roll holder, an extremely useful accessory for cleaning hands and tools while working away from base. The rack with Ultrasilent profile bars for transporting bulky materials and cargo on the roof.